It’s a miracle, I tell you! A monthly favourites blog post so early in the month deserves a cupcake but I’ll have to settle for a Digestive biscuit since there are no cupcakes in the house right now. June treated me very, very badly…as you guys probably know, our beloved Daisy girl passed away early in June. I still think about her every day and hope she’s keeping an eye on us from her playground in doggie heaven. I still have her collar and name tag and was thinking of framing it in a box frame and hanging it up in the house. What do you think? For this month’s favourites blog post there isn’t really a theme around the products I used like last month, this month features a proper mix of beauty products. First up is my number 1 favourite of the month of June, the Morgan Taylor ‘No Way Rosé’ nail polish. I bought this at Dis-Chem towards the end of May because I had heard Ashleigh rave about it on her Instagram. Oh. Ehm. Gee. I love this metallic rose gold polish so very much, and knew from the very first time I wore it, that it would be featured in a monthly favourites blog post. It’s absolutely stunning in the sun – super metallic and very rosy as well. I own a couple of rose gold nail polishes, but this one wins hands-down because although it looks a little bit more textured than your average rose gold polish (think Essie Penny Talk), it actually isn’t textured at all. I really can’t get enough of this little polish, and since it’s such a versatile shade, I am pretty sure I’ll be wearing it well into Summer as well. Morgan Taylor polishes retail for between R 100,00 and R 110,00 at selected salons and Dis-Chem stores or online at Retail Box, Rubybox & Kalahari. To keep with the nail ‘theme’, my next favourite is the Essence Quick & Easy Sponge Nail Polish Remover. I mentioned the Concorde nail polish remover (same sponge soaked in nail polish remover idea) in a previous favourites blog post because I find these removers so user-friendly and quick. Simply stick your finger into the hole in the middle of the sponge, twist a few times and your nail polish is removed within a couple of seconds. Now, what I like about the Essence one compared to the Concorde one is the fact that the Essence remover contains various oils and glycerin to counteract the drying effect the solvent (Ethyl Acetate, found in acetone free nail polish removers) has on your skin. One tip for using these sponge nail polishes removers, is to only use them to remove creme and shimmer polishes because I find the glitter particles in textured glitter polishes tend to tear up the sponge on the inside. 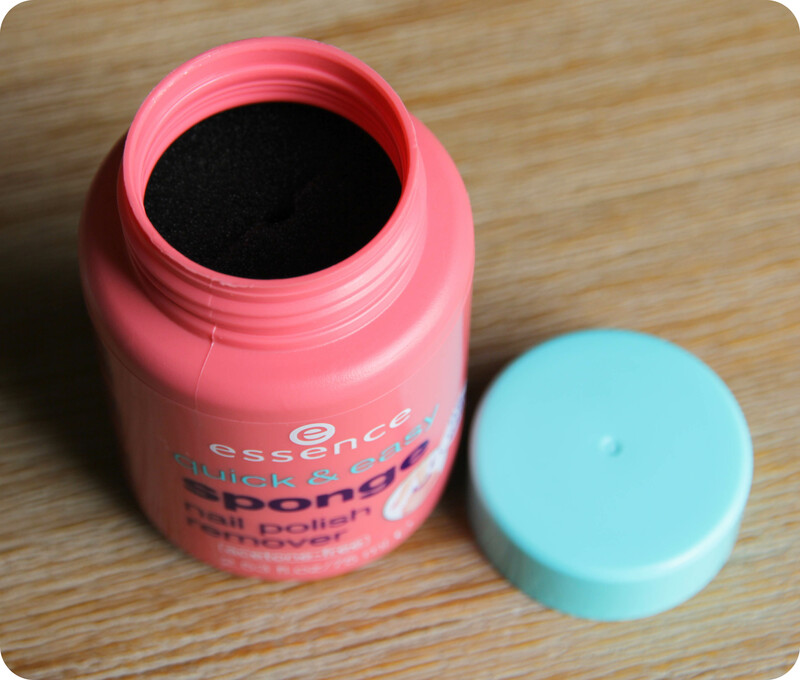 The Essence Quick & Easy Sponge Nail Polish Remover retails for R 44,95 at Dis-Chem stores (I haven’t seen this at Clicks). 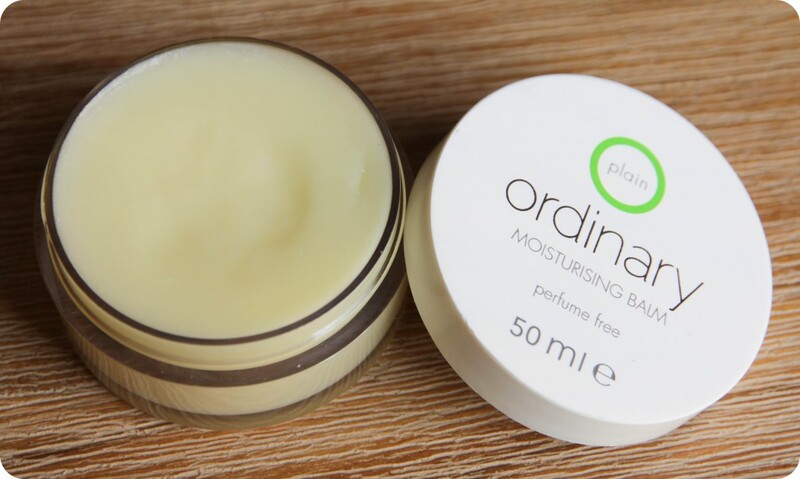 Next up we have the Ordinary Skincare Moisturising Balm – I was so happy when Ordinary Skincare contacted me in May and asked whether they could send me a couple of their products, especially since after checking out their website, I noticed their products contain minimal ingredients. I always try to test skin care and hair care products out for at least a month before even attempting to draw a conclusion and doing a review on them. I use this as a nourishing face balm at night because I always feel like my skin feels extra parched after my cleansing routine at night. The moisturising balm contains only 5 ingredients (impressive!) – no mineral or essential oils, and is fragrance-free. Produced locally in Cape Town, this brand doesn’t test on animals (yay!) plus their products are packaged in recyclable containers. This balm can be used anywhere on the body i.e. dry areas, rough elbows / knees, chapped lips but I’m only using it on my face because I’d like to keep it around for as long as possible. 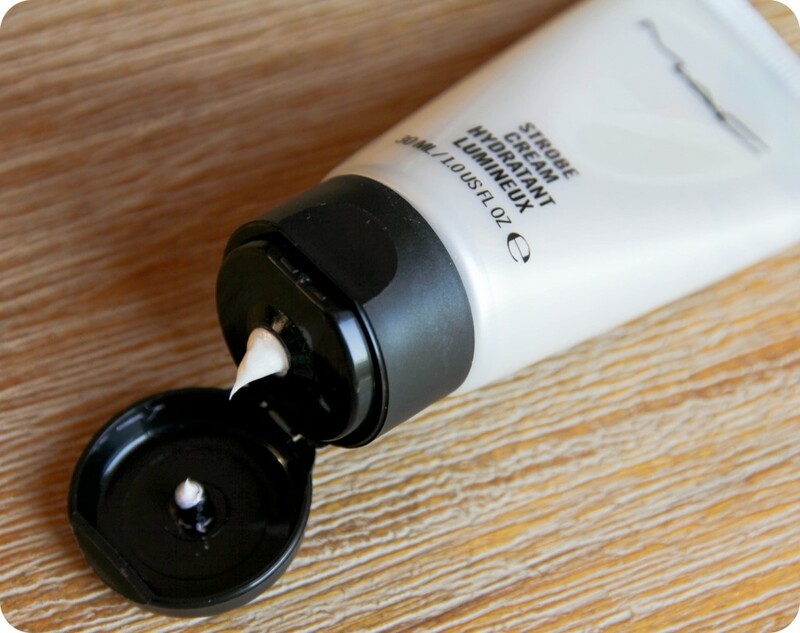 It literally melts into the skin, whilst making it feel smooth and supple. The balm is also perfect for irritated / itchy skin, or people who suffer from Eczema, Psoriasis and other skin conditions because it is super mild. I’ve also used this under my makeup as a type of primer and find it really helps my foundation to glide on super smooth, plus gives my makeup a healthy glow. The Moisturising Balm retails for R 329,00 and is available online from Ordinary Skincare. I have a strange obsession with makeup brushes, I own a heck of a lot of them. I prefer applying my makeup with a brush because I’m someone who can’t stand having foundation, concealer, cream blush, or eyeshadow on my fingers. Yes, I know some foundations and BB creams perform best when applied with your fingers but I’m always up for the challenge to prove everyone wrong – haha! Last month was a month of darker eye makeup for me – rich browns, dark plums, and smoky charcoals. Now, because I am not a professional makeup artist (and I need all the help I can get when it comes to eyeshadow blending), I have been using the heck out of this brush. I won’t be joining the dupe parade anytime soon BUT I will mention this is a very decent dupe for the MAC 217 brush (I own it as well). 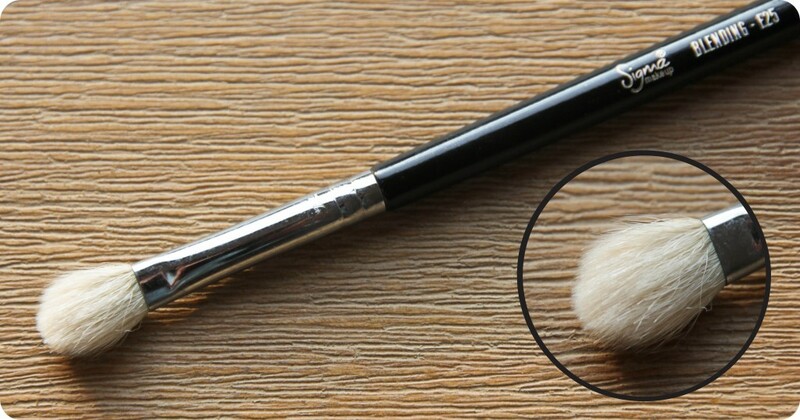 The bristles of this Sigma Blending E25 brush are very soft but what I love most about it, is that you can really pack on the colour (because it is a dense blending brush) or you can diffuse your crease colour beautifully by just using a lighter hand. I bought this brush many, many moons ago on the Sigma Beauty website (and paid a hefty amount for shipping) but I have very good news for you guys: Sigma makeup brushes are now available in South Africa (hurraaaaaa!) from Turquoise Studio, plus they offer free delivery to anywhere in South Africa. The Sigma E25 brush retails for R 235,00 online on the Turquoise Studio website. I have always been a big fan of Maybelline mascaras, the One By One Volume mascara is my holy grail product but that doesn’t mean I don’t test the waters every now and again to find a new favourite. 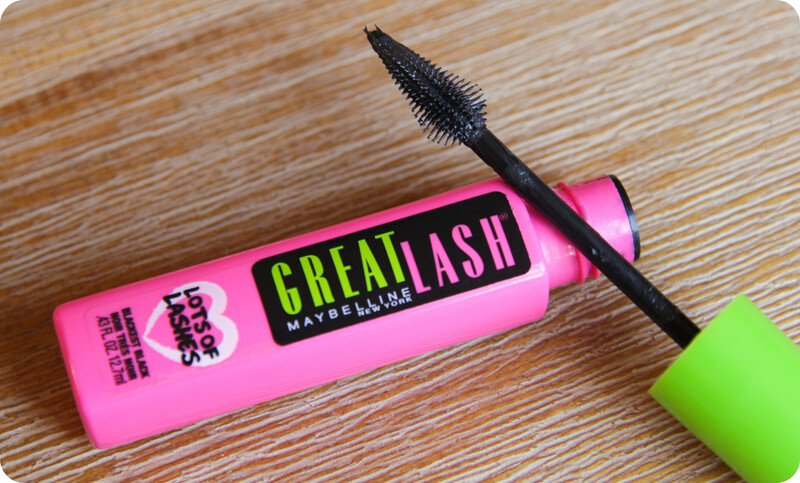 I decided to pick the Maybelline Great Lash Washable Lots Of Lashes Mascara up a couple of months ago when Clicks was running a ‘3 For 2’ promo and after the first use, I was so happy I decided to give it a try. I’ve seen this mascara on beauty blogs and Youtube videos, beauty girls all over the globe love it and with good reason! The Lots Of Lashes mascara is a spin-off of the original Great Last mascara and claims to provide loads of impact, while the unique brush design grabs hold of each lash for maximum separation and volume. I love the cone-shaped wand on this mascara, it’s a bit smaller than your average mascara wand and more compact as well. Small & compact means it can get into all the nooks of your eyes without depositing a blob of mascara on the inner or outer corner of the eyes. Lots Of Lashes gives me intense black, voluminous lashes that are virtually clump-free. I have fairly sensitive eye balls and find this mascara doesn’t irritate them at all. Here’s a tip when using this mascara: Don’t let this mascara dry between coats, so for best results, keep building the mascara until you are satisfied the amount of separation and volume. The Maybelline Lots Of Lashes mascara retails for R 99,95 at Clicks, Dis-Chem & Foschini stores, as well as online at Spree and Zando. Dewy skin and fresh-faced is a hot trend for Winter and MAC Strobe Cream is exactly what you need to achieve this look. It sounds like I’m trying to sell you something on QVC, I know…but if there’s one must-have product that you need in your life this Winter, then this is it. Strobe Cream is an opalescent, lightweight cream that contains mineral pigments to give the skin a healthy glow. A pea-sized amount is all you need, apply to dull Winter skin and it will give you a dewy, radiant complexion. I find this moisturiser performs double-duty in that it moisturises the skin, but also acts as a primer for my foundation. There is also a Strobe Liquid version available (which is more geared towards oily skin types), but for Winter, this baby is it for me. It adds dimension to the skin, smoothes over dry & flaky patches and looks great in photographs too! MAC Strobe Cream retails for R 335,00 (50ml), I have the 30ml version which is available at MAC Pro stores but I can’t remember how much I paid for it (eeeeek, don’t shoot!). 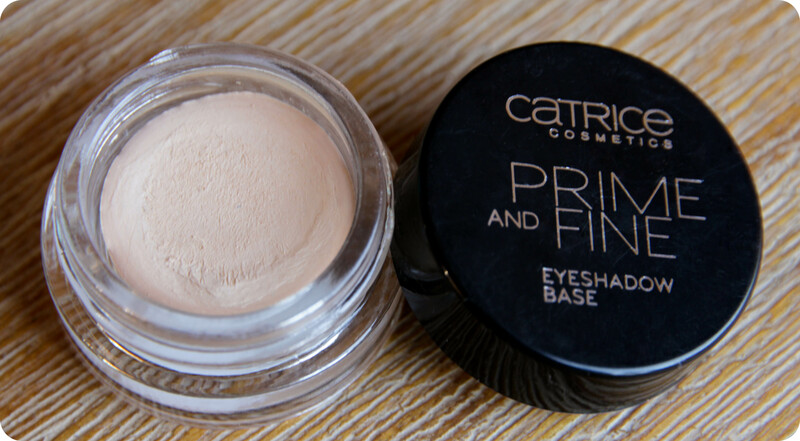 My unfavourite / beauty-bust for the month of June is the Catrice Prime & Fine Eyeshadow Base. I received this in my Spree Winter Personality Trend Beauty Box last month and since I had never tried any Catrice product before, this was one product I tested out immediately. Major disappointment for me unfortunately… It looks quite creamy in the pot, but when I tried to swatch it, absolutely no product was transferred to my finger. It has a very dry consistency, almost to the point of being a dense powder. My number 1 favourite eyeshadow primer is the MAC Painterly Paint Pot (I have had my little pot for 2 years now and it is still just as creamy as the day I bought it). I decided to give this base a second chance and tried to apply it with a synthetic eyeshadow brush and I’m sad to say, it didn’t work. It sticks to just one area on the lid (where you applied it) and is not easy to blend. I’m not sure if I just got one from a bad batch, but it is completely unusable. I hope you guys have a lovely July, goodness knows, I hope July treats me better than June did! Loved this blog post, you describe products so wonderfully. I too tried that Catrice primer and hated it. 🙁 Thanks for mentioning Turquoise Studio, now I can start stocking up on Sigma makeup brushes. Ugh, must have that rose gold nail polish!! Strobe Cream sounds like something I need asap! I agree with you on the maybelline mascara, it’s so amazing and I prefer this one to the original. Great selection of products! I ordered some Ordinary skincare products on the Rubybox website and actually had the Balm in my cart then took it out. I think I will add to my next Rubybox order after reading your review now. Maybelline mascara is great value for money and has always been a favourite of mine. I can see Daisy giving her little smiley grin at the thought of remembering her with the box frame idea! I love Great Lash! It never fails me. that Rose Gold colour is gorgeous! That Ordinary balm sounds amazing! Catrice’s entire Prime and Fine range is phenomenal! Love reading your reviews. I just stumbled upon your blog and have spent the last 1,5 hours reading through your posts. Definitely a new follower of your blog. Aaaah, yay! So glad you’re enjoying my blog, Hannah! Love that Essence remover! Need to get it asap. Usually takes me forever to get my polish off! The nail polish shade is amazing, the perfect rose gold! Yes, I’ve also been on the lookout for smaller box frames but they’re hard to find… Might have to get one specially made.